There is one age-old question which is bothering each online seller - which e-commerce platform is the best. Starting your own business sometimes might look like one long process of making big decisions. Even if you know two of the most popular sales channels - Shopify and WooCommerce, there are some uncertainties in choosing one of them. For this reason, we gathered their differences and answered the question - which one to choose. 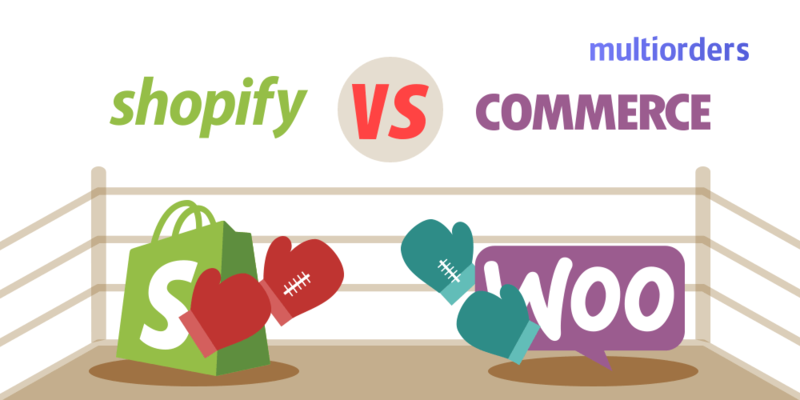 By comparing them, we found a solution to the Shopify vs WooCommerce situation. First, let’s talk about registering with Shopify. Their main advantage in the Shopify vs WooCommerce situation is their simplicity. To be exact, you can create your Shopify online store by simply signing up. After sign up, you just go through a basic setup wizard and that is it. Furthermore, this sales channel gives you tips and explanations in each step, so you won’t need any site-building or design skills. Shopify is a closed source platform. In other words, it means, that each online seller does not have the full control of their online store. Consequently, you can make changes and modify just the parts, that Shopify allows you to. Shopify offer their own hosting. However, they control all your data and has your information. Shopify vs WooCommerce - they both have their similarities. One of them, of course, is that they have their support service. The difference - Shopify has 24/7 email, chat and phone support. Another thing is that there is also a possibility to sell offline in Shopify. Shopify suggests using Shopify payments, which is powered by Stripe. 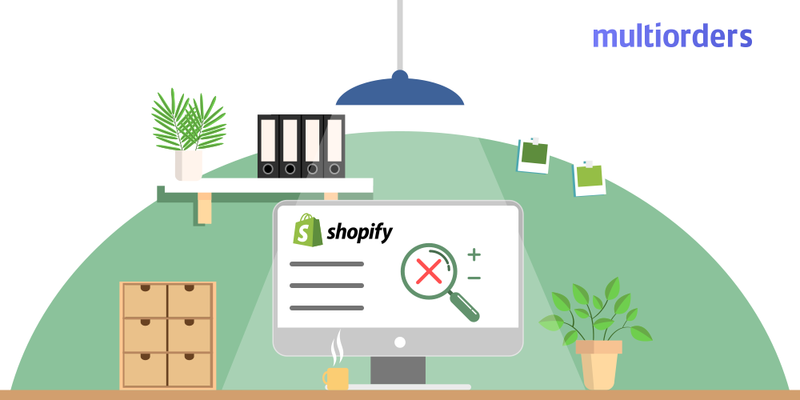 Despite that, Shopify provides a possibility to use a third-party payment gateway such as Paypal, Stripe, authorize.net, amazonpayments, FirstData, 2checkout, etc. In total, Shopify integrates with over 100 different payment gateways. One of the biggest Shopify advantages is their design. They offer more than 54 store templates, and some of them are totally free! Also, all of them have unique variations, which creates more than 100 separate designs. All of them are colourful and mobile responsive. Not to mention, that Shopify allows you to easily change them. WooCommerce is an open source platform. This sales channel allows making changes to everything and modifying everything. In other words, WooCommerce has an advantage because it allows you to control everything without any limits. Also, since hosting is excluded each online seller has complete control of their data. As mentioned before, in the Shopify vs WooCommerce situation, they both have customer support. 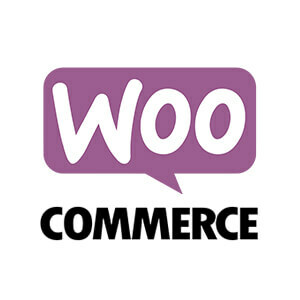 The thing is that WooCommerce offers you a ticket support, forum support and blog. Also, WooCommerce documents, which are really informative. Despite that, WooCommerce allows you to only sell online. By default, WooCommerce is offering two payment gateways - PayPal and Stripe. On the other hand, this sales channel supports all other popular payment gateways through add-ons. First of all, WooCommerce does not come with any actual design. Their design developers are WooThemes and it looks a lot like WordPress. So, practically you can choose any WordPress theme and make it work with WooCommerce. Also, you can get a range of child themes for your storefront. The answer to this question is quite simple. Both of these sales channels have their own advantages and disadvantages, which makes each of them remarkably great for different kinds of users. In other words, you see the list of their benefits, but the best option is based on each user individually. Our suggestion would be to use both of them! That’s right, we found a solution which allows you to work with both of them, as easily as working with one.